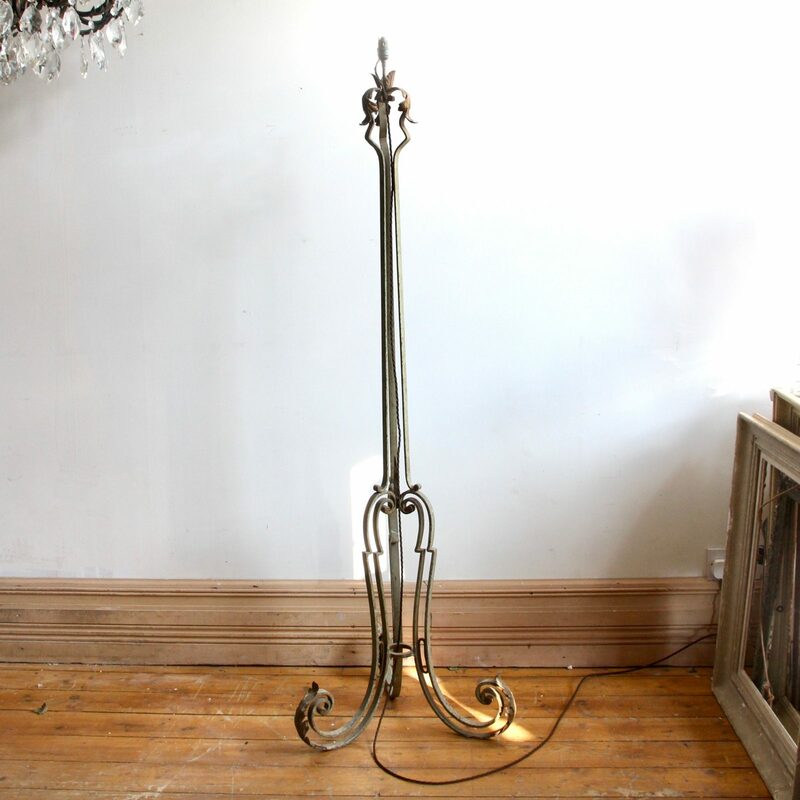 This wrought iron floor lamp originates from France. 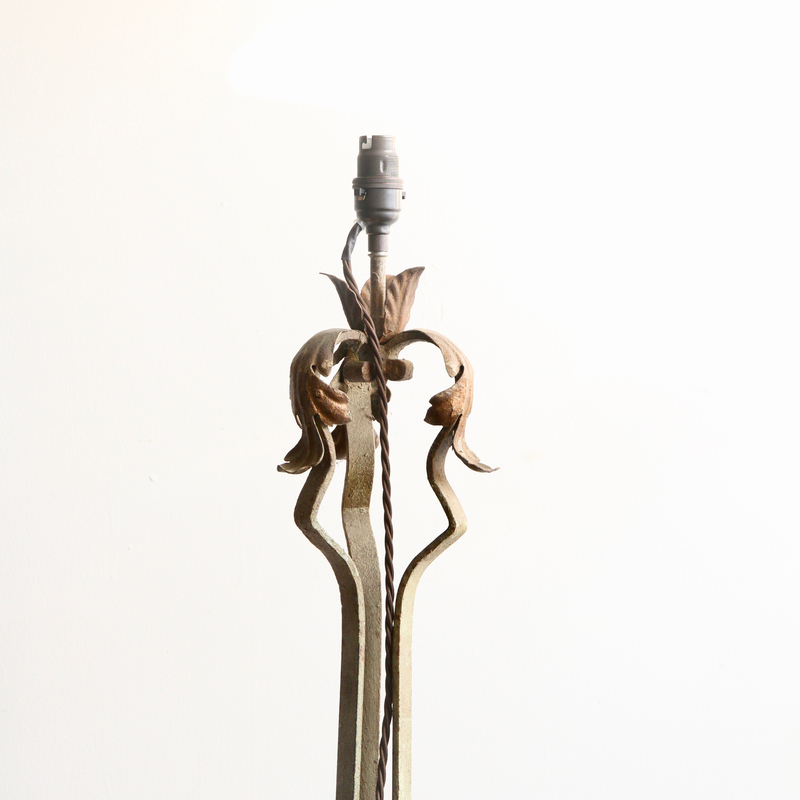 It is dark green and gold with an elegant scrolling form, leaf details and a single lamp. Rewired with dark brown braided flex.